Deodorants and other body products that contain aluminum have been suspected of increasing the chances of breast cancer. This claim, however, is not agreed upon. The American Cancer Society claims that most breast cancers start closet to the armpit, because this is where more breast tissue resides, and not necessarily because of deordorant use. Some researchers point out that aluminum is stored in fatty tissue. They also point out that an ingredient by itself, may not cause as much problems as when other potential toxic ingredients are combined. "Aluminium and breast cancer: Sources of exposure, tissue measurements and mechanisms of toxicological actions on breast biology" claims that aluminum promotes "gene instability". It is not worth the risk of using aluminum based body products that can interfere, especially, with herbal breast enhancement. There is an alternate inexpensive solution to using deodorants with aluminum in them. A natural and effective antiperspirant and deodorant is a mix of half each of vinegar and water. White vinegar or apple cyder vinegar will do. The vinegary smell goes away, and this is more effective than baking soda. You Asked: Can Deodorant Give You Cancer? You must be over 18 years old to post pictures. The pictures will belong to you, but once they are posted on the Internet, distribution of them is out of control. I can remove them if you choose, but please leave an alternate picture of results, even if covered. You can black and white, or censor the pictures, if you choose. In general, for any website, don't send pictures of your face or identifying background objects, even in different pictures, unless you don't mind being known for them. Also, remove metadata (such as gps location) that sometimes gets added to your pictures by your camera. You can now post them securely at comments. The menstrual cycle will be divided into 5 phases, to simplify their timing: Menstruation, Proliferative, Ovulation, Secretory and Premenstrual. Follicular phase is divided between menstruation and proliferative phase. Menstruation is when the uterus lining is shed. The proliferative phase is from the end of menstruation until ovulation. This is the time when the uterus rebuilds to prepare for potential pregnancy. Luteal phase has been divided into secretory and premenstrual phase. The secretory phase is when the corpus luteum is present and produces progesterone. Premenstrual phase begins when the corpus luteum disintegrates, and it ends at the beginning of menstruation. 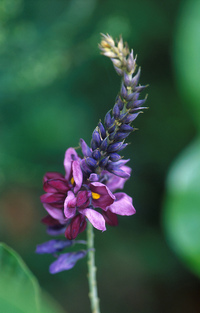 Kudzu is synonymous with the genus of Pueraria. Pueraria mirifica has a reputation for breast enhancement, perhaps because it appears to have the right qualities of phytohormones, that many other herbs don't have by themselves. It appears to have follicle stimulating hormone, luteinizing hormone or estrogenic properties, and prolactin or progesterone qualities, which is a combination that should cause breast growth, but its hormonal qualities are still not for certain. Questions and answers about natural breast enhancement, and ebook. About health benefits of winter squash (Cucurbita) seeds, including that of pumpkin seeds. 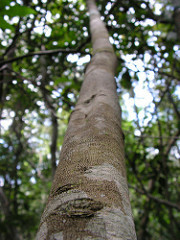 About Suma (Hebanthe eriantha), and its reputation as Brazilian Ginseng. About medicinal values of Chuchuhuasi, Chuchuhuasha, Chuchuaso, Gnikélé and other species of Maytenus. It is useful for alleviating menstruation discomfort, and for general nerve relief. New lunar calendar with updating image of current moon phase, lunar dates for whole year, and percentage of Moon illumination. Lunar calendar is useful for keeping track of menstrual cycles. Website moved from http://www.botanicalbe.is to breast.is domain. Image of M. distichophylla is by Tarciso Le達o; (CC BY 2.0).